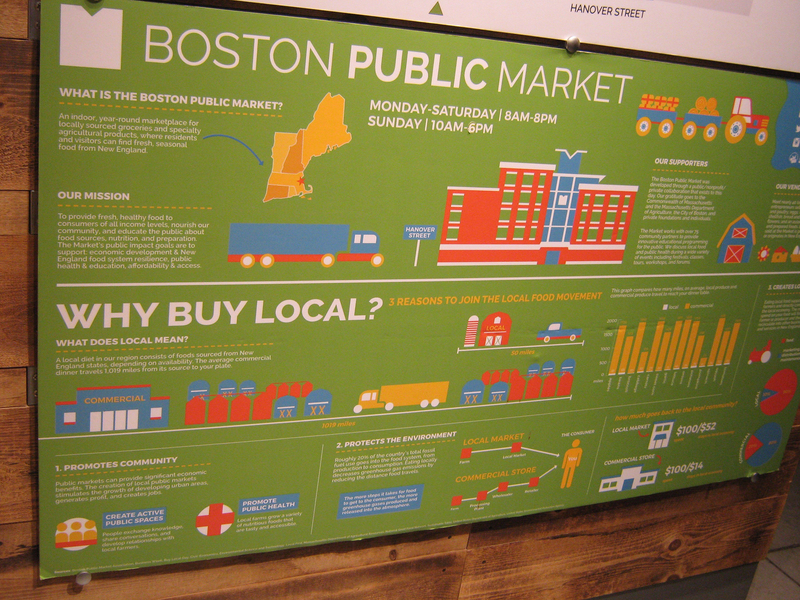 The Carrot Project views as clients the farmers and businesses it works with directly. For over ten years, it has helped to build the financial management skills of its clients, and it takes pride in its 2017 Outcomes: 72 clients (whose service ended in the year) averaged an increase in net income of $28,500, 1767 farmland acres in production, and 47.5 jobs supported. And in 2017, it oversaw loans totaling $467,000 to current borrowers. To meet its mission of increasing the number of profitable, viable farm and food businesses, The Carrot Project collaborates with various lending institutions. 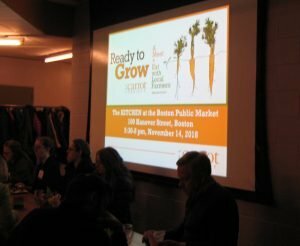 Earlier this month, its Ready to Grow fundraiser at the Boston Public Market was sponsored by Farm Credit East, SlowMoney Boston, Fresh Pond Capital, Eastern Bank, Honeybee Capital Foundation, and Trillium Asset Management. 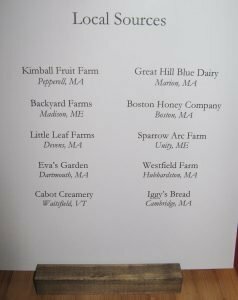 The fundraiser, A Meet + Eat with Local Farmers, spotlighted two small farms, Three Maples Market Garden in West Stockbridge (Berkshire County, MA) and Ironwood Farm in Ghent (Columbia County, NY). 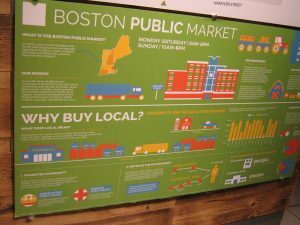 Three Maples Market Garden was started by Cian and Amanda Dalzell as a Community Supported Agriculture (CSA) farm share, noting that they loved knowing the families who were eating our produce. They grow an impressive array of crops: squash, kale, carrots, cucumbers, peppers, eggplant, cabbage, tomatoes, turnip, rhubarb, zucchini, daikon, scallions, potatoes and radishes, as well as herbs, basil, sorrel, parsley, cilantro, dill, celery herb, tarragon, rosemary, and thyme. Cian Dalzell took a Making It Happen farm financial management course with The Carrot Project and has also trained to work as an instructor and business advisor to pay it forward. Ironwood Farm is an impressive organic farm, certified organic by the Northeast Organic Farming Association (NOFA) of New York, on ten acres of leased land. 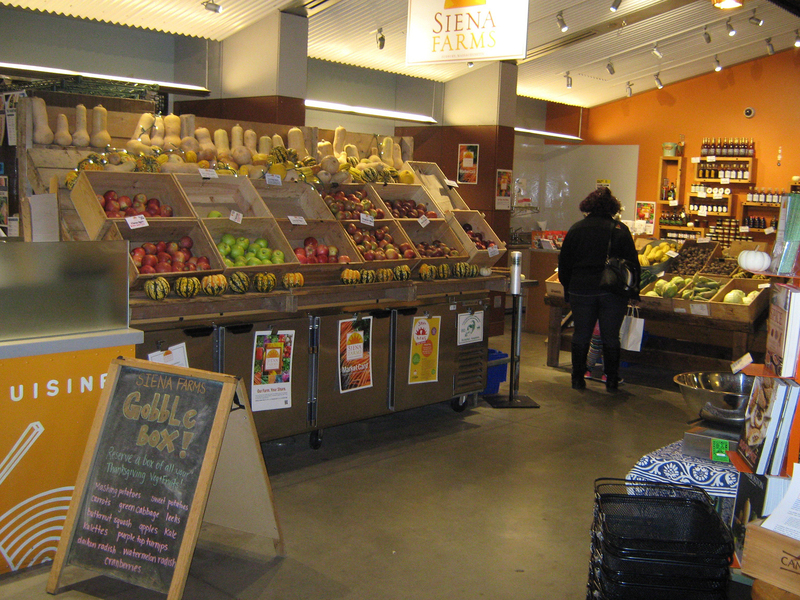 The farm sells its produce at farmers markets, wholesale to restaurants, shops and resellers in New York’s Hudson Valley, and it also offers CSA farm shares. This certified organic farm is the collaboration of three women working together for seven years who hoped to achieve more together than apart and now make an income for each of their three households. 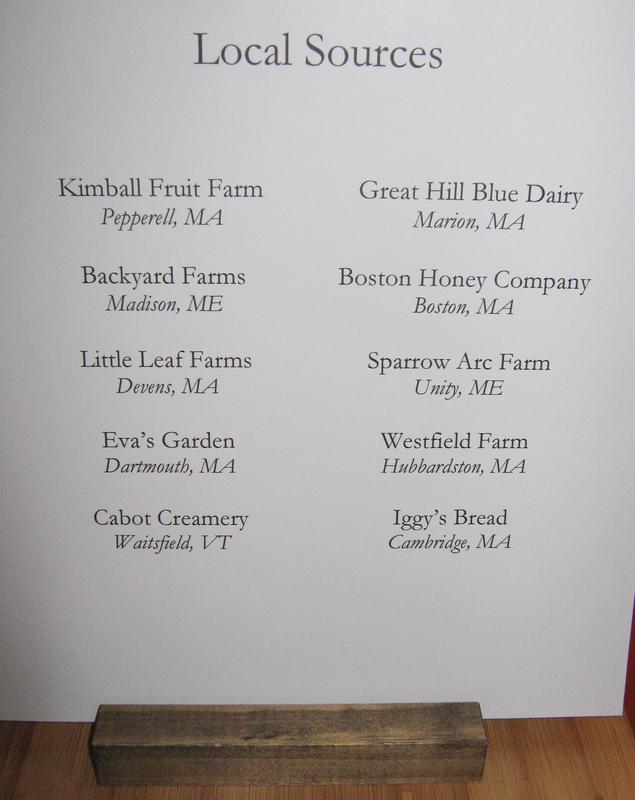 In addition, The Carrot Project at its recent fundraiser honored Scott Budde, who worked with the Maine Organic Farmers and Gardeners Association (MORGA) and Maine Farmland Trust to found the first credit union (Maine Harvest) focused on improving a local food system by lending to small farms and food producers, opening January 2019, with a capitalization of $2.4 million. Investors and lenders helping to sustain the good food movement, rooted in small farms and local food producers, deserve gratitude for helping to counteract corporate gigantism, as evidenced by recent data released by the Open Markets Institute, showing increasing market share of the largest companies in many American industries, including the production of various agricultural products. For example, four giant enterprises, JBS SA, Tyson, Cargill and Smithfield have a market share of 53% (a 250% increase from their 21% market share back in 2002) of the Meat Processing Industry’s revenue (noted to be $123.2 billion in the data released by the Open Markets Institute). Investors and lenders mindful of the ideals that monopolies undermine- like market competition, economic dynamic and individual freedom (in the words of David Leonhard in his op-ed, The Monopolization of America, NY Times, 11/26/18) deserve recognition. Kudos for The Carrot Project in building the financial management skills of small farms and agricultural businesses and bringing together lenders and investors with well-managed small farms and local food businesses. The Project’s special recognition of two successful small farms and a caring investor/lender at its fundraiser earlier this month was a very special occasion worth celebrating.